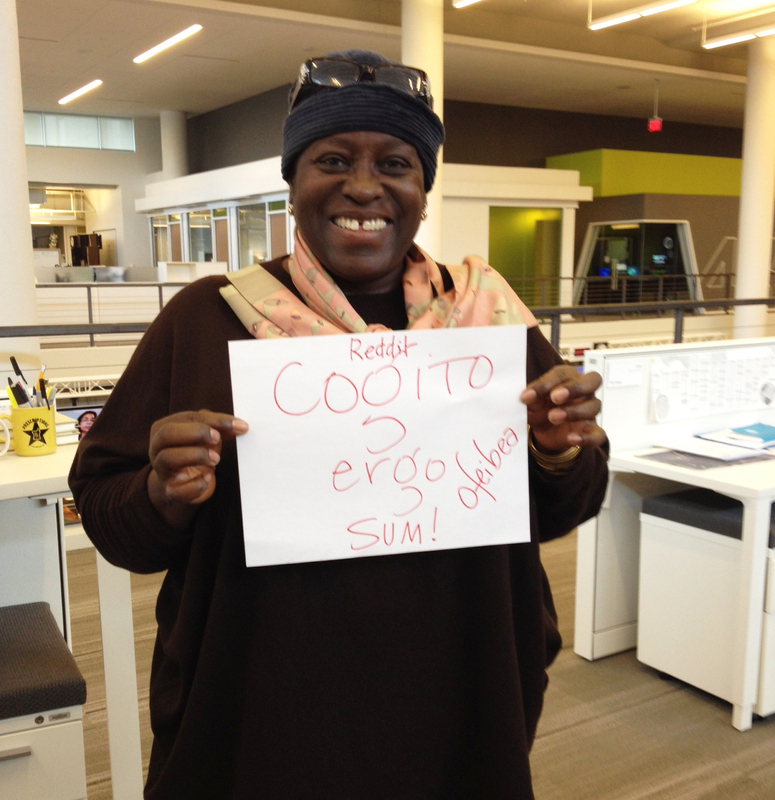 Ask Me Anything: Africa Correspondent Ofeibea Quist-Arcton Answers : Parallels NPR's Africa correspondent fielded topics ranging from progress in the Democratic Republic of Congo to racism in Africa and her favorite dish during Friday's AMA. NPR's Ofeibea Quist-Arcton, who is based in Dakar, Senegal, fielded topics ranging from progress in the Democratic Republic of Congo (it "still has troubles") to racism in Africa ("remains prevalent") and her favorite dish (gari foto from her native Ghana) during her Reddit "Ask Me Anything" Friday. Quist-Arcton also acknowledged questioners' (and our) fascination with how she says the name of the Senegalese capital: "Dieure dieuf!" she said. "Thank you in Wolof, Senegal's lingua franca. Dakarrrrrrrrrrrrrrrrrr!" Everyone has to sit down and decide to put Congo first — DRC itself, its direct neighbors, including Rwanda and Uganda and its so-called Western partners as well as the African Union. Good luck to [former Sen.] Russ Feingold [the U.S. special envoy to the Great Lakes region] and other special envoys from the continent and beyond. DRC cannot be an intractable problem anymore, there must be a solution. China is certainly, certainly changing Africa. And it depends who you speak to whether you think the influence is negative or positive. China does not pontificate as the former European colonial powers and America have done in Africa. It has done its homework and knows what it wants from Africa. Africa needs to catch up and know what it requires from China. But it's not doing so as a unified force, as one zone; it's all happening bilaterally and I'm not sure that's a good thing for Africa at all. Many South Africans will tell you that racism still rules in their country, 19 years post-apartheid and despite huge advances to end the scourge of white minority rule. In other countries, such as Mauritania — those who come from the black "slave" cast will tell you that there is racism against them by the white "Moorish" class. In other parts of the continent, that are all black so race as such is not an issue, you'll hear the word "tribalism." And that is rampant in many parts of Africa and has led to war and conflict. So, that's what "racism" looks like in Africa today — it remains prevalent. Chez Adja Ba. She's my "petite soeur," my little Senegalese sister, and the dishes that come out of Adja's kitchen are absolutely my No. 1 "restaurant"! The arts, culture, literature and creativity of Africa are my passion. And there is so much going on that needs to be shared worldwide. I'm just back from Nigeria and that giant of West Africa is brimming with talent — writers, musicians, you name it. Read the entire AMA here.